Frances informed the CCEE stampers that tomorrow (August 28) is Bow Tie Day, so she asked us to include some sort of a bow on our cards this week. It didn't necessarily have to be a bow tie, as long as it was a bow. I decided to add a bit of whimsy on my card this week. In order for the tie to tuck under my owl's beak, I cut a second beak and popped it on after I had attached the bow tie. He's all dressed up in his red plaid bow tie! Frances, our CCEE hostess for August, told us that today is Lemonade Day. 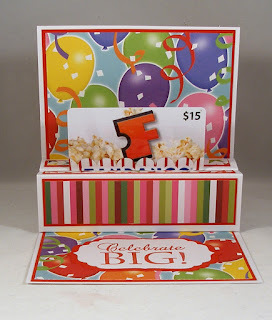 She asked us to celebrate by creating cards that feature lemonade in some way. If we didn't have anything with a lemon or lemon-related feature, we could use some other kind of beverage. Fortunately, I had several stamp sets featuring lemonade, and I used some images from three of them on my card. You probably can't see it, but I added some glossy accents on the glass and pitcher. 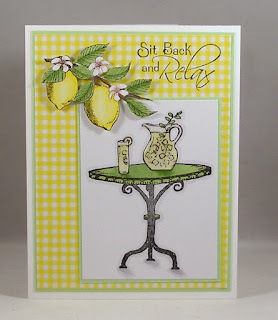 Stop over at the CCEE Stampers blog for some more refreshing lemonade. 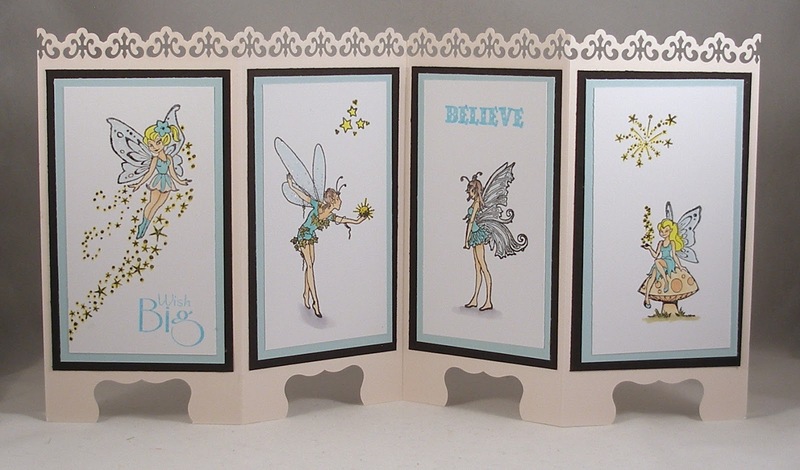 Frances, our CCEE hostess for August, has been meaning to make a screen divider card for some time. They are quite fun -- here's a tutorial if you want to try one yourself. I've made several of these over the years; and when I make one, I usually put a belly band around it so that it will fit easily into an envelope. 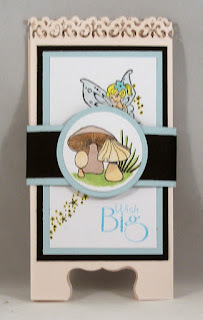 Check out the CCEE Stampers blog to see what creativity you will find there. Apparently, August is National Golf Month, so Frances (our CCEE hostess for August) asked us to create a card which features some sort of sport. 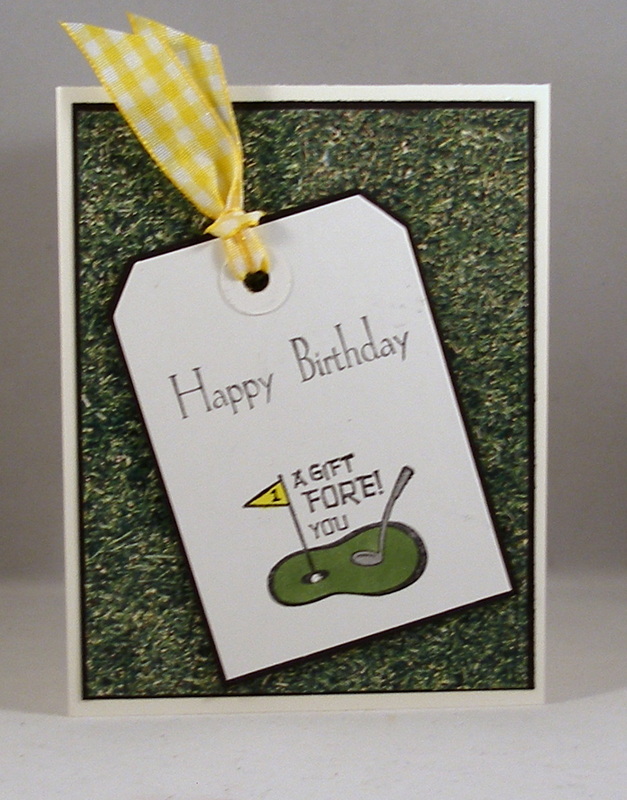 We get bonus points if we create a golf-themed card. I don't have many golf-related stamps in my inventory, but I did find an old Lizzie Anne Designs set that had one appropriate stamp. I hope the rest of the team was more successful in their search. 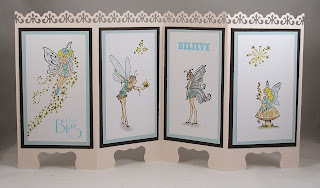 Check out the CCEE Stampers blog to see. 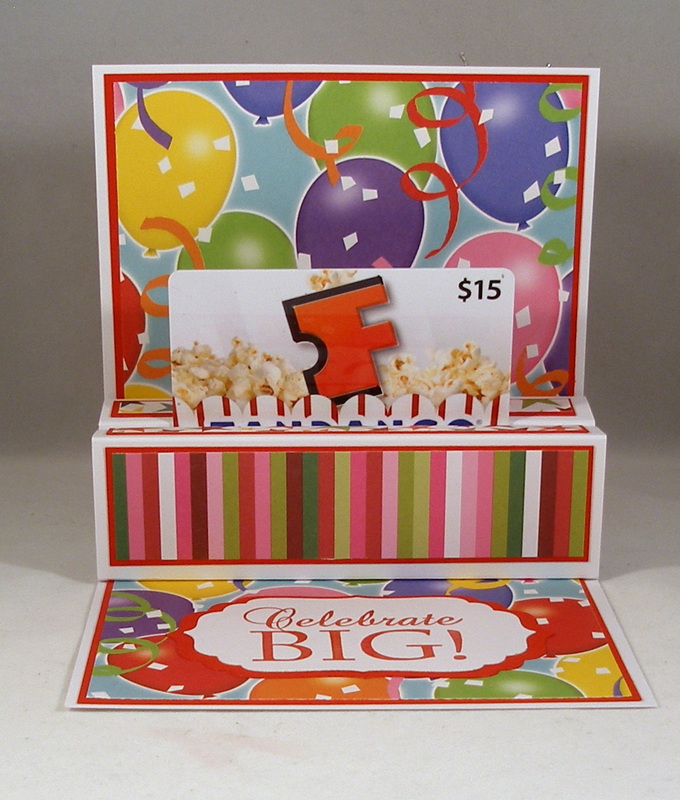 Scor-Pal is celebrating birthdays this month. 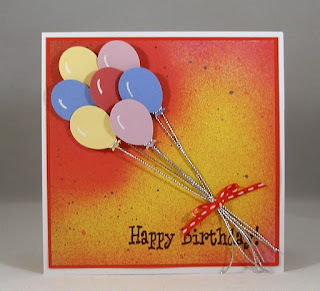 The More Than One Score challenge for August is Birthdays. 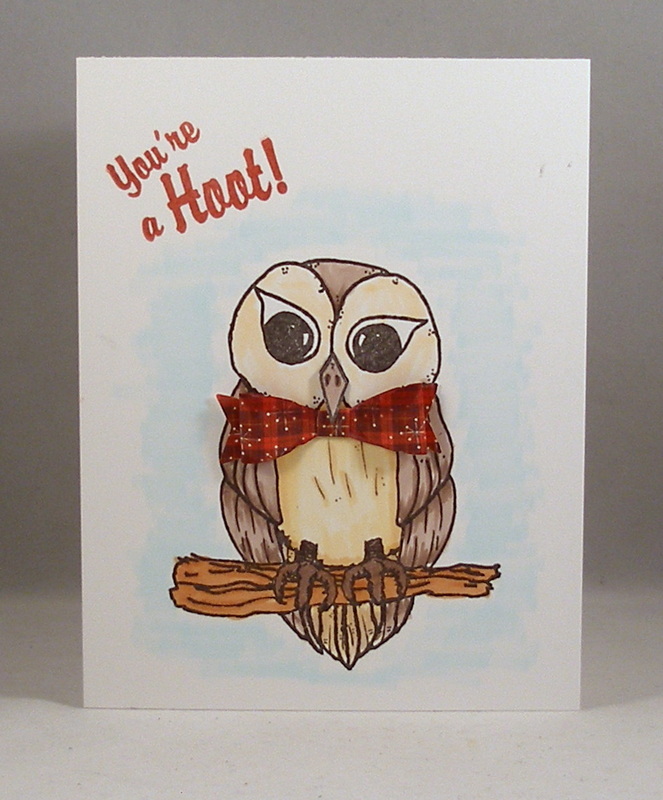 Not much stamping on this card -- a two-word sentiment on the front and a two-word sentiment inside. 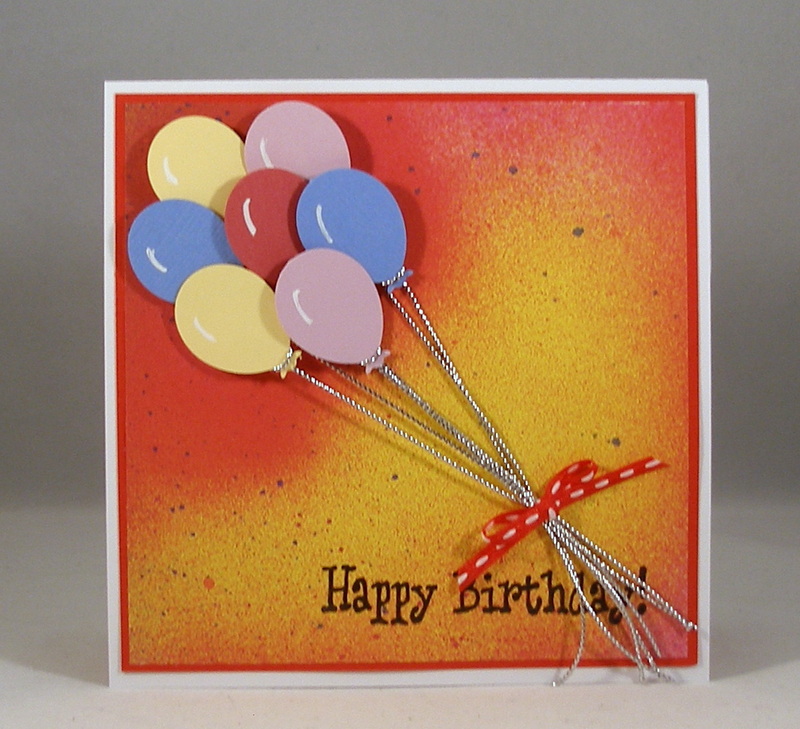 The balloons on the front were punched from cardstock in the same colors as those on the inside patterned paper. I used a little bit of silver twine for the strings and a bit of ribbon for the bow. I think the patterned paper makes this card!